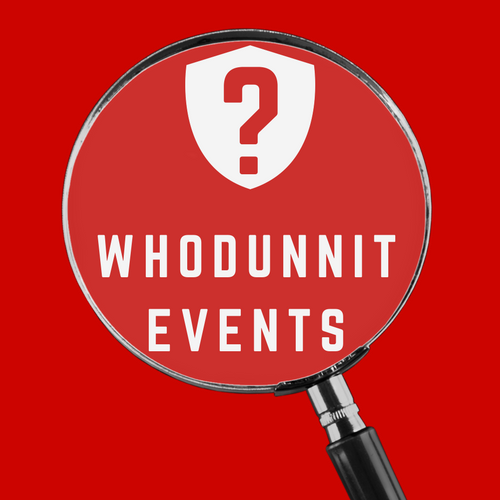 Whodunnit are a Murder Mystery events company based in Glasgow, Scotland. We love bringing people together to enjoy our vibrantly alternative Murder Mystery events. Stimulate those grey cells during our lively Murder Mysteries which require you to work in teams to figure out whodunnit, why and which weapon was used - a bit like a live-action Cluedo! You'll meet the suspects (played by professional actors) and have entertaining exchanges with each character during the questioning round. You'll also inspect the clues which may include handwritten letters, witness statements, love notes and all manner of unlikely objects! Unlike any other Murder Mystery company, our team go the extra mile for your guests by offering alternate endings to all of our events. A Murder Mystery party for friends & family? An unforgettable fundraiser, product launch or social event? An exhilarating way to complement a training weekend or conference? "Absolutely amazing from start to finish for Rachel's hen night. Thoroughly enjoyed all the fantastic acting and superb food. Great night enjoyed by all." "What a fabulous night! You guys were brilliant and I thoroughly enjoyed the night. I was quite proud of ourselves when we worked out who the murderer was although it took us a while. Great acting guys and a tricky plot with lots of red herrings thrown in to engage us all. It’s like cluedo in the flesh! Loved it!"